A staff of Chivita Nigeria Limited has been arrested after swindling the company a whopping N80 million. Popular beverages company, Chivita Nigeria Limited, has lost a whopping sum of N80m to one of the staff in Lagos who swindled the company to the tune of the said amount in five days, PM Express has reported. The incident happened at the company’s premises located at Ajao Estate area of Lagos. The suspect, one Olufemi Afidemi, has been arrested. The police alleged that the 34-year old Afidemi conspired with others at large, carted away many cartons of evaporated milk worth about the said amount at night for five days between 12th and 17th March, 2019 and escaped. The missing of such large quantity of the products came as a surprise to the Chivita management considering the fact that the company had night guards. The theft got exposed after the company reportedly carried out internal audit and discovered some things. Thereafter Afidemi was summoned and he was unable to explain what happened. 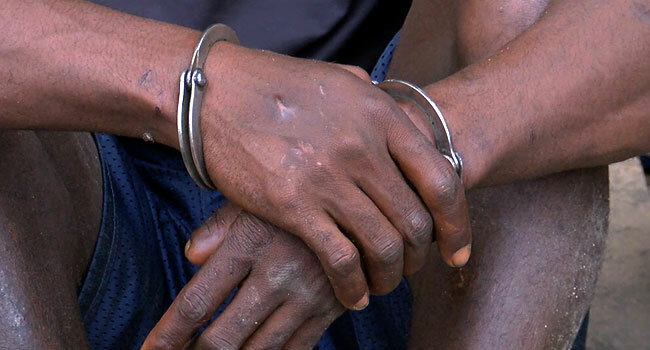 He was then handed over to the police at Ajao Division who detained him for interrogation. During interrogation, the suspect was said to have denied but the police found him culpable and charged him before the Isolo Magistrates Court for conspiracy and stealing. The prosecutor, Mr. Oje Uagbale, asked the court to give Afidemi stringent bail condition to enable him come to court to face trial. Thus, the Presiding Magistrate, Mrs. A.O. Teluwo, granted him bail in the sum of N100,000 with one surety in like sum. The matter was adjourned till 17th April, 2019.